Creating a bathroom in your attic or loft is a great way to make use of the extra space. 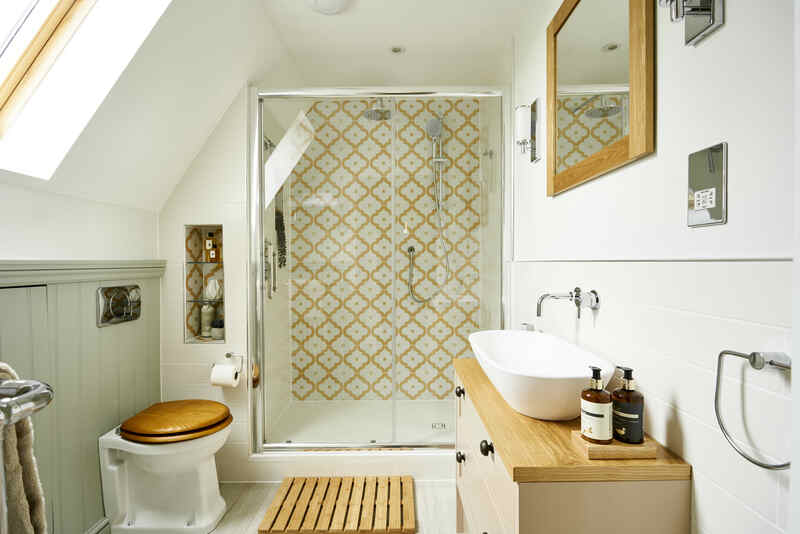 Whether you want an en-suite for a master bedroom in a conversion or a standalone room, an attic bathroom feels like a tranquil haven away from the rest of the house. Your attic bathroom design will be led by the size and shape of the space, as well as your vision for the overall look. Lofts can be awkward spaces that require careful planning. With some know-how and help from expert designers you can create a spa-like sanctuary or an extra family bathroom to ease the pressure on existing spaces. No more queuing for the shower in the morning, or interrupted bathtimes. Just a luxurious bathroom tucked up in the eaves where you can lie back in the tub and look at the stars, or spritz in the shower to get set for the day. If you are starting from scratch you’ll have a blank canvas to work with. This allows you to decide on every last detail and get the space exactly as you’d like it. In an older building or existing loft you may have original features, like beams or windows. Your design can accentuate and highlight these, using them as a kind of framework for the design. 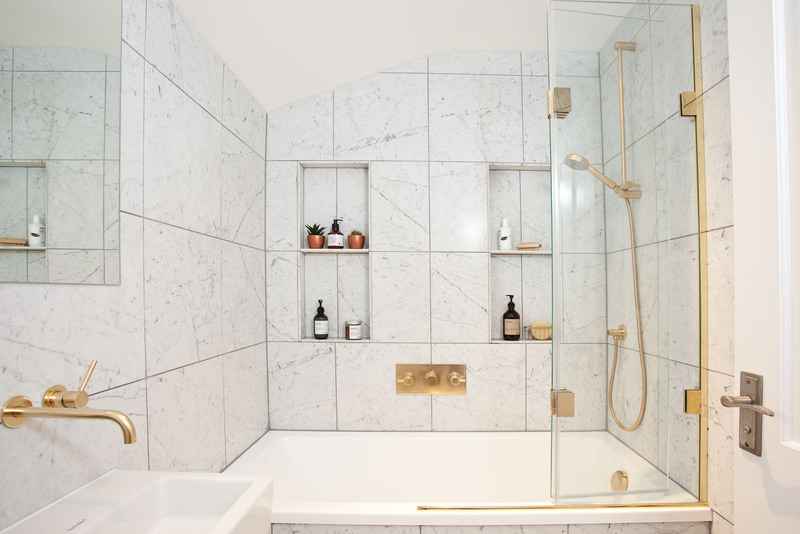 If the space is small you’ll probably only have room for a shower, but you can play with aspects like running the length of the shower tray across the whole wall, or creating a wet room with a walk-in shower. 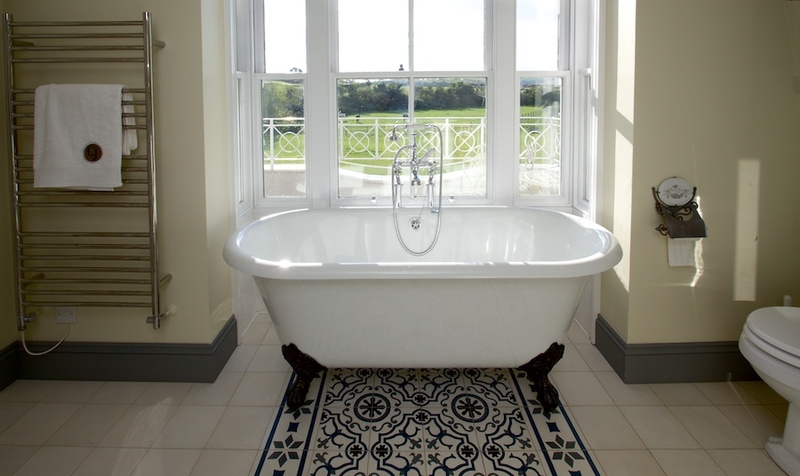 Larger bathrooms look amazing with a freestanding bath, giving a real luxe feel to the space. Usually a small space is painted white and fittings are kept light, to create an illusion of space. Whilst this works brilliantly, don’t feel constrained by convention. You could do the opposite: paint the walls a deep grey and keep fittings in medium woods, with a lighter marble countertop as contrast. This makes a small room feel like a cosy den. 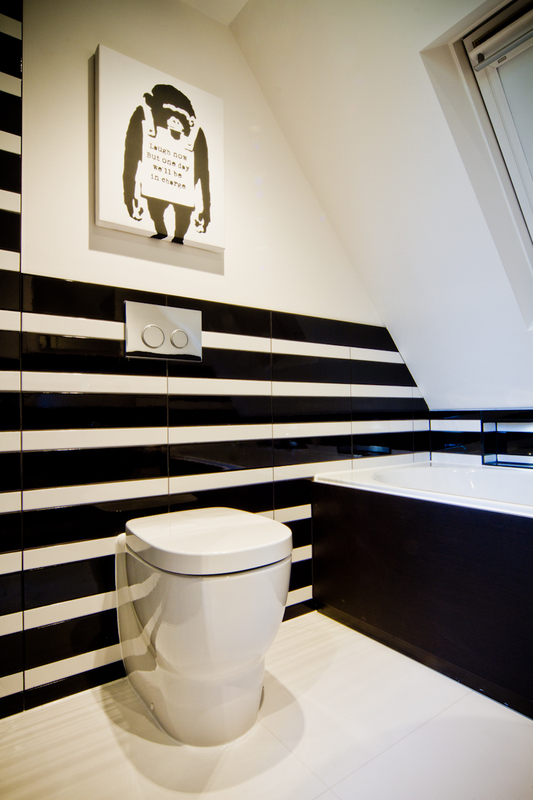 A monochrome colour scheme looks striking and modern, and you can use tiling to create contrasting lines and angles. If this feels a step too far, keep the walls and fixtures light but add a pop of colour with a painted bath or bold wallpaper on one wall. One significant issue with loft bathrooms is heating and ventilation. You will need an extractor fan to prevent moisture build-up, and it’s essential to install effective insulation before the bathroom refit. A heated towel rail will sufficiently heat smaller spaces, but a larger bathroom will benefit from underfloor heating. You can save substantial amounts of money on plumbing costs if you position your new attic bathroom above an existing bathroom or soil pipe. This way your bathroom plumbing can connect to existing pipes, reducing the need for new installations. Ceiling height will dictate where you position your fittings. A shower is best in the highest point of a room, requiring a minimum of 1m x 2.6m. If you are fitting a bath you’ll need at least 1.7m x 2.3m, but your bath can go under a lower ceiling point. Lower areas, especially under eaves, are also great for storage units, cabinets and toilets. We’ve written here about how creating a false wall can provide extra storage space, as well as hide any unsightly pipes. Factoring one of these into your bathroom design means you can have recessed shelving and clever storage solutions. Skylights and dormer windows are excellent ways to bring more light into an attic bathroom. They will also add precious extra inches to the space and create a lovely feature. An attic bathroom will put considerable weight strain on joists and ceilings. Make sure your house is structurally up to a conversion, counting in the weight of a full bath with a person in it. Mirrors bounce light back into a space, and are useful in attics to create a more airy, light feeling. You could install mirrored cabinets that follow the curve of the ceiling, or fit a glass shower enclosure to reflect the light. If you need any advice about installing an attic bathroom do get in touch and see how we can help. You can also browse our previous projects here and see how we’ve created luxurious, functional, beautiful bathrooms for rooms of all shapes and sizes.